If you have not yet read A Man Called Ove by this same author, STOP IMMEDIATELY what you are currently reading, and get ready to consume the book in one sitting. I know! It’s that good! Only then you will understand why Britt-Marie must be close to the top of your TBR. Britt-Marie is instantly unlikable. She is stubborn, unyielding, and extremely rude. However, she is completely adorable from the very first. Handling this dichotomy so deftly is what sets Backman as one of my favorite authors. 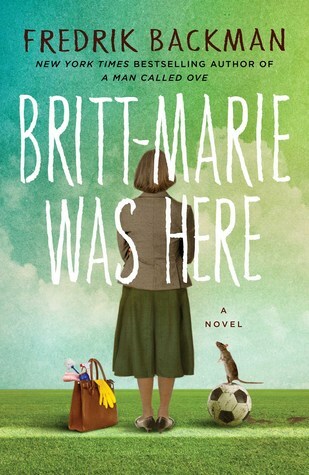 Stepping out on her own for the first time in … well, ever, Britt-Marie embarks on one adventure after another. Her arrival in a small town on the verge of collapse is just what she and the townies need. With a love for baking soda, window cleaner, and a burgeoning relationship with a rat, lives are transformed. Oh, and soccer is a really big deal. Really big. Originally published in Backman’s native Swedish, the story lends perfectly to translation and holds more than one laugh out loud moment. The writing is fluid, detailed and perfectly suited to the quirky characters made alive on the pages. Many thanks to NetGalley for making this treasure available for my pre-release review. Previous Post The Setup Wizard – Tumblr Fan Fiction Must Read! Next Post It’s National Library Week, y’all!